Photos of the Thirteenth Street Sanitary Landfill and various operations. A photo of the Thirteenth Street Sanitary Landfill located in Lynchburg, VA showing a dump truck in foreground. 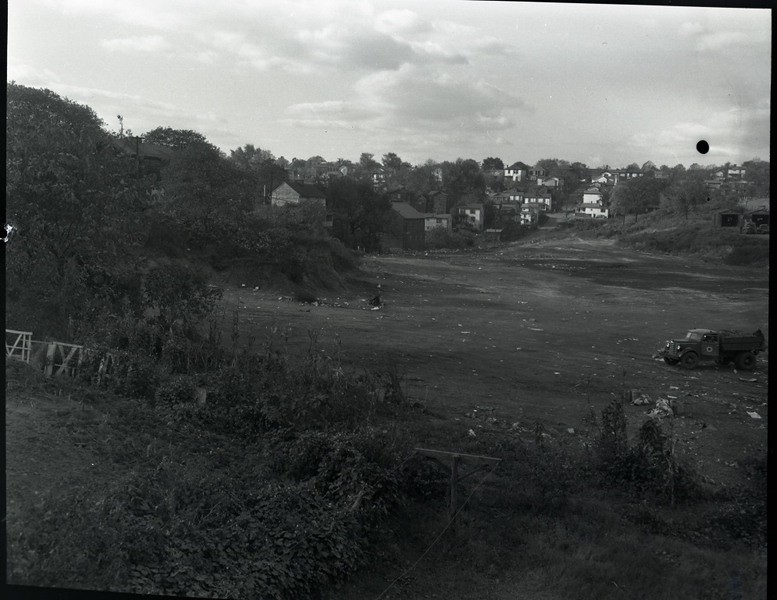 Also, in the background is a view of the neighborhood taken 10/20/1952.